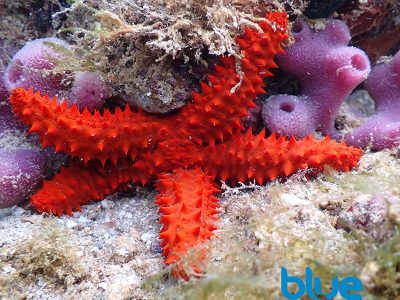 The Red Thorny Sea Star (Echinaster echinophorus) is a cryptic echinoderm. 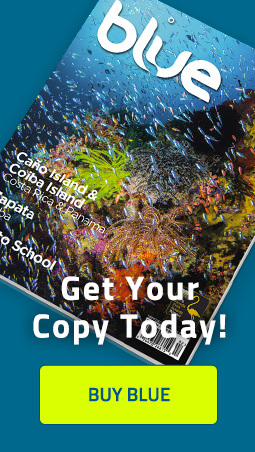 It is usually found under rocks or corals and is rarely seen in Caribbean waters. It has five tubular arms, each one with rows of conspicuous tubercles or spines (“thorns”), projecting along its length. Also known as Asteroids (Class Asteroidea) and previously called starfish (though they are not related to fish), sea stars as they are now appropriately called, are carnivorous. They will prey on mollusks, corals, shrimp and other invertebrates or even small pieces of fish, if necessary.